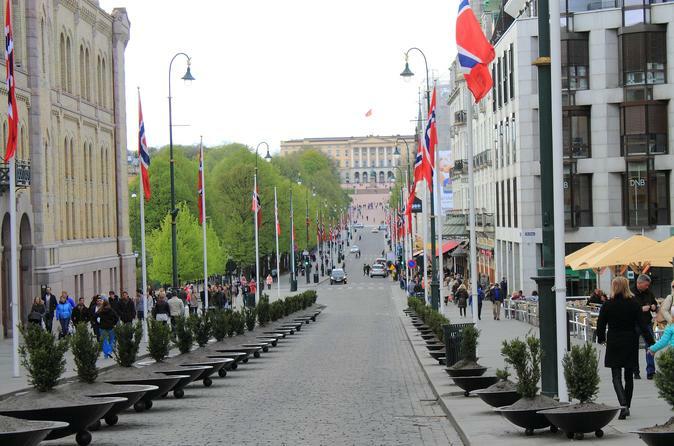 Get a personal introduction to downtown Oslo on a 2-hour, private walking tour with a local guide. Learn about Norwegian culture from the Vikings to the modern day as you follow a route past some of the town’s most important landmarks and sites. This 2-hour Oslo tour can be tailored to your schedule and interests, and is priced at a flat rate for private groups of up to 10 people. Make your way to a central location in downtown Oslo, where you’ll meet a guide at a departure time that’s convenient for you. The pace can be tailored to your group, and you’ll have the flexibility to see the things that interest you the most.Throughout your walking tour, take advantage of your access to a private, local guide to ask questions about Norwegian culture, history, and daily life in the country's capital city. The walk begins at The Nobel Peace Center, then you’ll stroll to Oslo’s scenic harbor area for views of the busy port, Norway’s coastal archipelagos, and the city's beloved coastal promenade. Take in a series of “best-of” landmarks including Oslo City Hall, the Opera house, and the Akerhus Castle and Fortress that has protected Oslo since medieval times. Continue to Oslo’s Karl Johan’s gate, then take in the Cathedral, Parliament Building, and The Royal Palace before wrapping up the 2-hour tour in central Oslo, close to downtown attractions and restaurants.